That’s the intent of a former Microsoftie and children’s author Ayesha Hameed, who used to be a software developer for the tech giant based in Hyderabad, India. She’s created a new e-book series called Coding Palz. 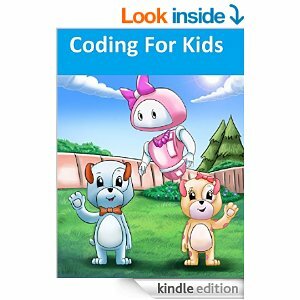 Seeing a lack of books about coding for younger kids, she thought why not start them a little earlier? Coding Palz is for kids ages 3-8. So far, the first four books are already on Amazon, but the entire series will have 20 books. Hameed has set up an Indiegogo campaign to help fund the rest of the series.